So at this point, the code is assuming that the very first element of the array is the smallest, so compare_func should always return >= 0 when it reaches the start of the array. Aha! So the problem is my compare_func. It turns out I forgot to handle the single case of both values being NULL. So there’s not really a big lesson to be learned here, but if you ever hit strange segfaults deep inside glib’s qsort while sorting a treemodel, do yourself a favor and double-check that your sort function is sane first. Also, do yourself a favor and run it under valgrind as soon as you get a strange segfault. Knowing the exact point of the invalid read is infinitely more helpful than waiting until that invalid read causes a segfault. As a quick follow-on to my last post, I’ve put a webkitmm git repository up for those that might want to play around with it. It’s certainly still early, but it is mostly complete. You’ll probably need a recent checkout WebKit/Gtk+, I’ve only tested it on trunk. At some point, I’ll probably import it into GNOME subversion, though I really don’t look forward to that. 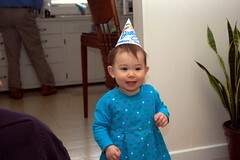 A belated happy first birthday to my beautiful daughter. It’s been a fantastic year. Since then it seems like I’ve been sick most of the time. Instead of doing something useful, I’ve taken to fidding on a re-write of my Agave colorscheme designer, and I’ve made a decent amount of progress. 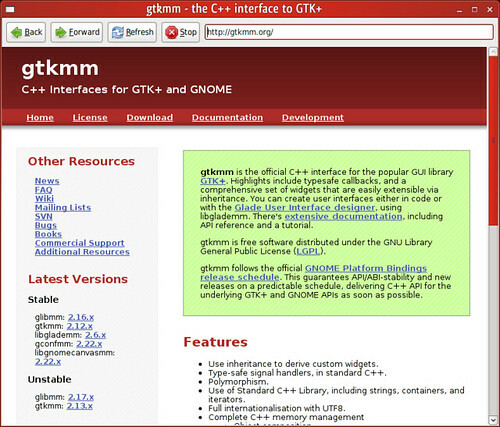 It still lacks a lot of features of the original, but it benefits from my vastly better grasp of gtkmm and related technologies. I still don’t know if I’ll ever actually get around to releasing it. It’s currently serving as a way for me to relax and take breaks from my other projects. It’s become sort of a playground for me to try out new technologies, and I think I’ve succeeded in making it nearly impossible for normal users to build as it requires quite a few very new or unreleased libraries (goocanvasmm, giomm, glibmm-utils, etc). I’ve set up a repository on github for anybody that’s interested in playing around with it. Also, I’ll be taking over some glibmm maintainer duties from murray after the 2.16.0 release.